Get the SkinCare Guardian Premium Collection Gift Sets before they sell out this season! I'm going talk about that wonderful, amazing, all plant based skin care system for that thing; that thing that the whole world wants: Younger Looking Skin. I didn’t become aware of how young my skin looks compared to my peers until my 50’s, which is really interesting. I never considered myself an anti aging or younger looking skin system designer or spokesperson - it just happened. I have God's Creation and Inspiration to give all the glory to. I truly believe that these plant based skin care systems can greatly benefit you as they have done for me and prevented aging of my younger looking skin over many seasons in my life. "Okay, Which Collection Is for Me?" 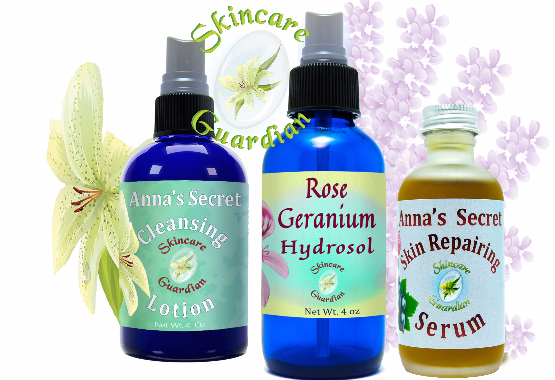 It is true there are several options available, take a look at the basic SkinCare Guardian three step system with the Anna's Secret Cleansing Lotion, Clarifying Pure Hydrosol Toner, and Skin Renewal Serum. As you know, I'm always talking about health, nutrition and good diet. I have discovered a wonderful skin food, that works very well for my skin. 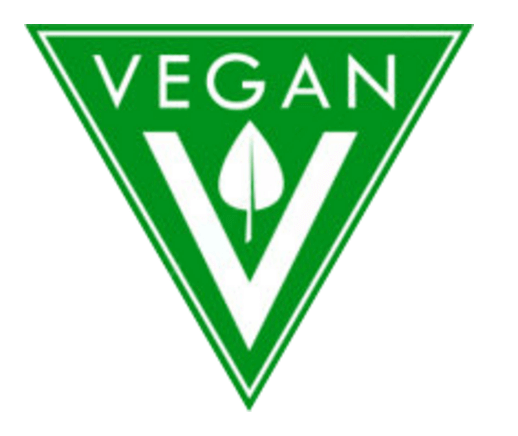 I’ve also discovered something else: Your skin is the largest cleansing organ you have- up to 60% of the residues in what you put on your skin end up in your internal organs and blood stream- Feed your skin nutrients it can use - That is one of the primary tenants by which these plant nutrient based products are designed. When I consume anything—especially if I use it daily—I like to make sure it’s the best, and Skin Care is no different. I want to know that it comes from the best crop, that it's packaged responsibly, and that it's as naturally produced and minimally processed as possible. It's going to be politically correct and morally correct. Not only is it beautifully packaged and totally naturally , but it’s all grown by small farms in each botanical's respective native environment. This is how they make their living, and they’re really good at it! Something that’s important to me in natural products is that it’s sustainable sourced. A lot of the botanical skin nutrients we get comes from many different places. This is why we work very, very hard to verify the purity and to be sure no pesticides or synthetic growth agents were used. This Is Clean. This Is Pure. This Is Safe. SkinCare Guardian. Check it out. Now, some of you might think of that as a euphamism. This is the straight stuff, right? It's delicious. I actually had my fourth cup just the other day, and I'm hooked. I'm bringing this home with me. When I'm ready to have that cup, I'm gonna have the best. So check it out. Go To SkinCare Guardian Collections!